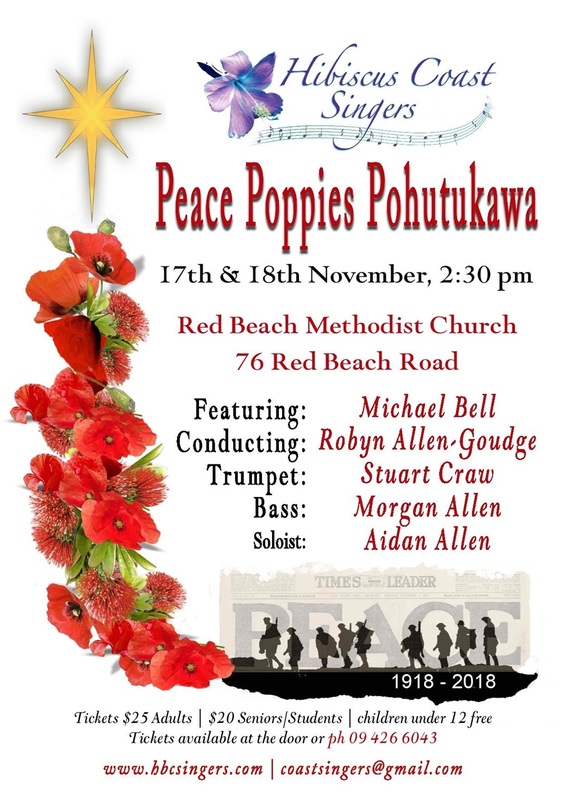 Our last concert commemorated the 100 year treaty, peace and Christmas all in one. Hence, Poppies, Peace and Pohutukawas in the title. The audience sang along to some favorites, and were entertained by our guest trumpeter, Stuart Craw and wonderful pianist, Michael Bell. 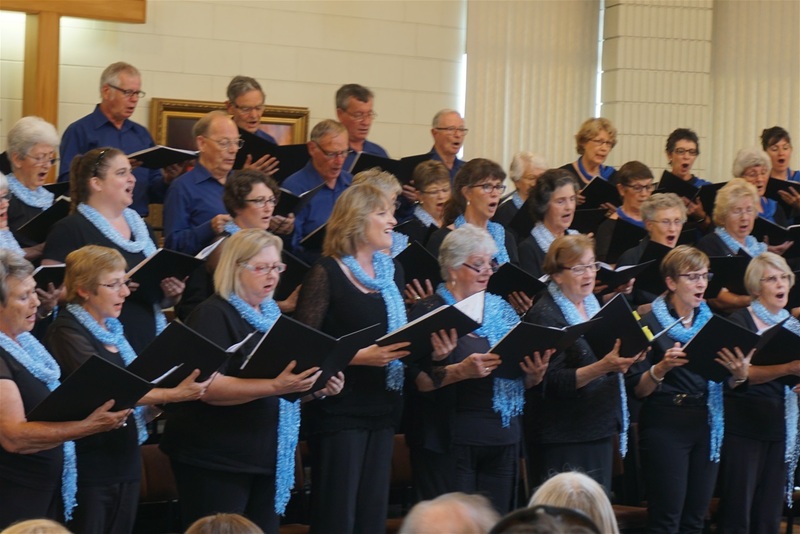 June 2018 was one of our very best and well supported concerts yet thanks to the expert leading of our new Musical Director, Robyn Allen Goudge. 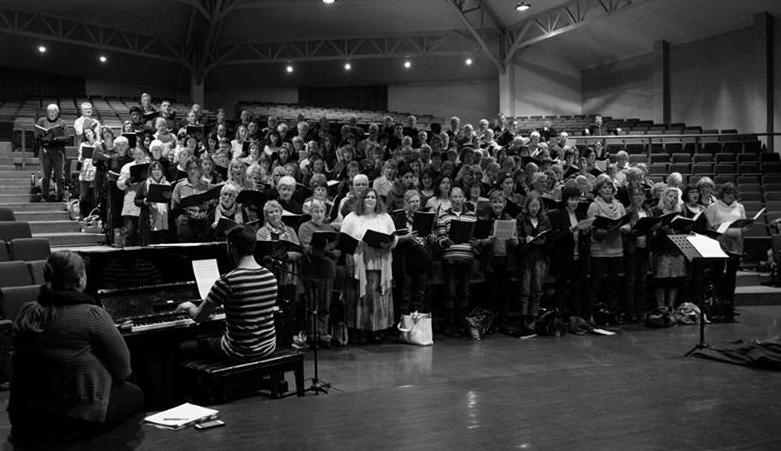 The choir had the priviledge to sing to two full houses. 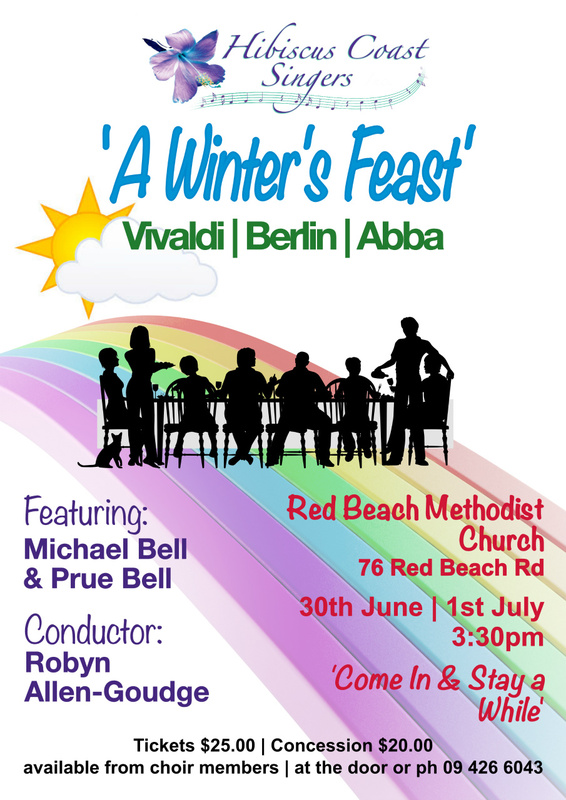 Well done to all our members, soloists and fanctastic performance by Michael Bell, guest pianist. 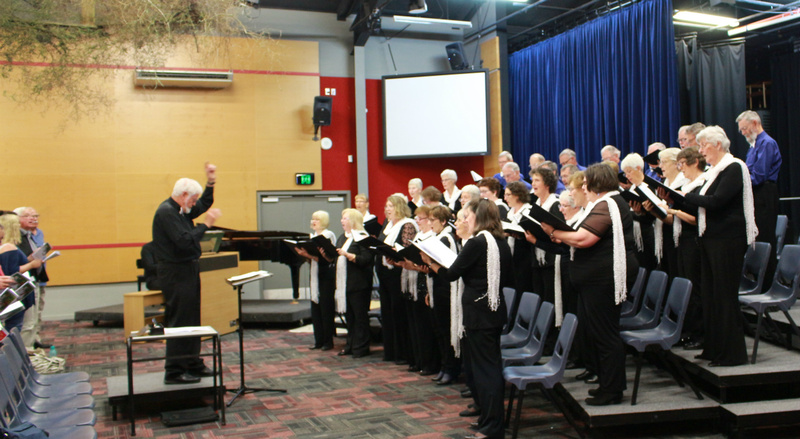 Our two concerts were well attended and was a fitting tribute to our retiring Music Director, Norman Firth. 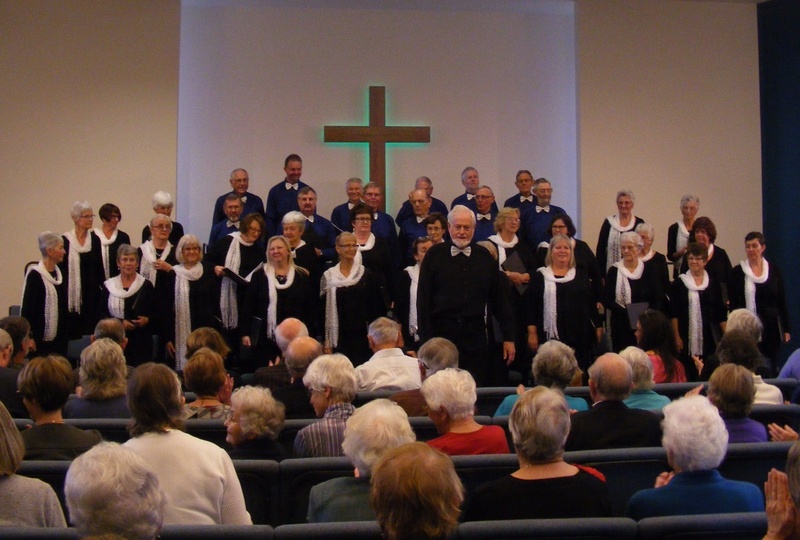 We had two very sucessful concerts, thanks to all involved. 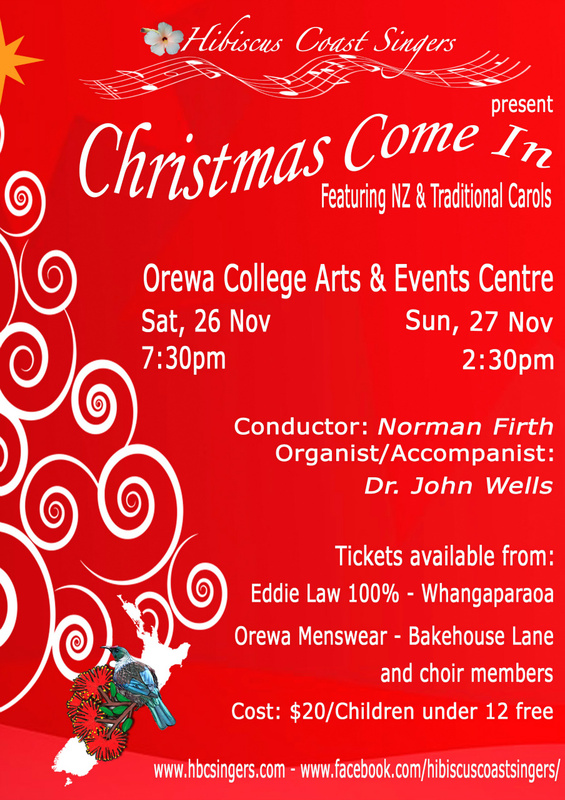 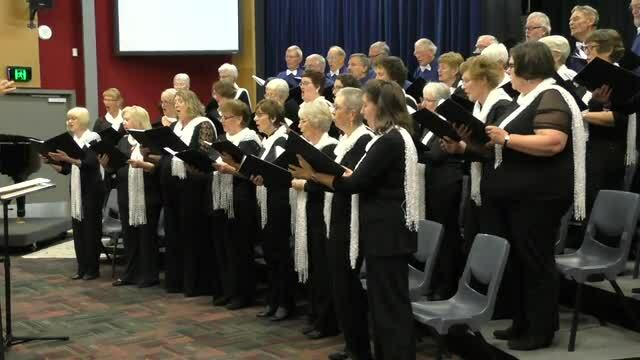 We had a wonderful two days at the Orewa Arts Centre, this year, presenting our Christmas Come In concert. 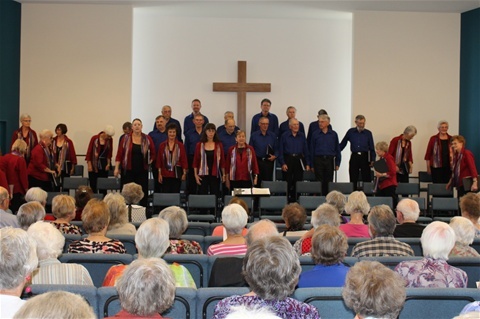 Thank you to all who made our recent concert such a success. We performed the moving, Gloria by Vivaldi and then switched to performing works of local composers, Dr John Wells and Ken Leech, during the second half. 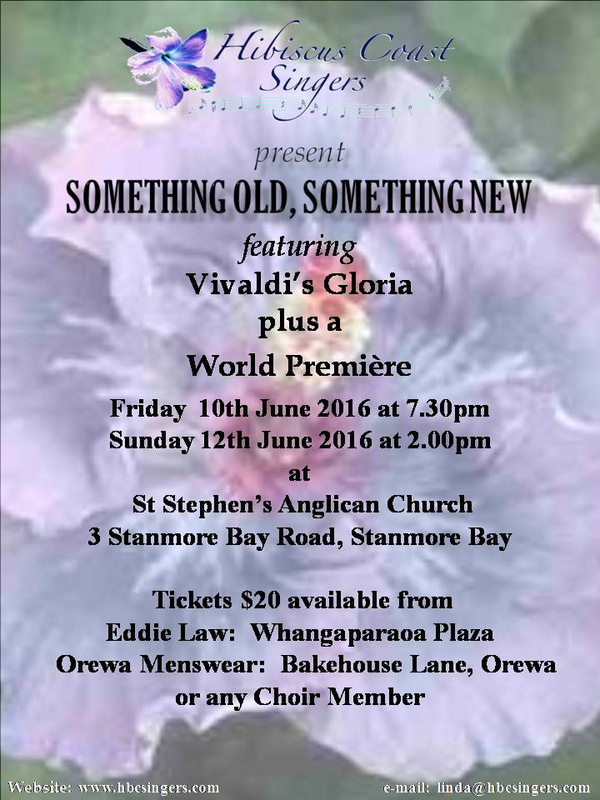 We concluded the concert with a medley from selected Gilbert and Sullivan musicals. Our Musical Director, Norman, in consultation with the Choir Committee, presented a programme to continue the celebration of our 25th Anniversary, this time with a Christmas flavour, entitled "Encore" It included some choral classics like Handel's "Zadok the Priest" & excerpts from "The Messiah" ( For Unto Us & O Thou that Tellest), some lighter music, jazz classics, fun stuff, carols, some by N.Z. composers, & Vaughan Williams' "Fantasia on Christmas Carols" with a baritone soloist. 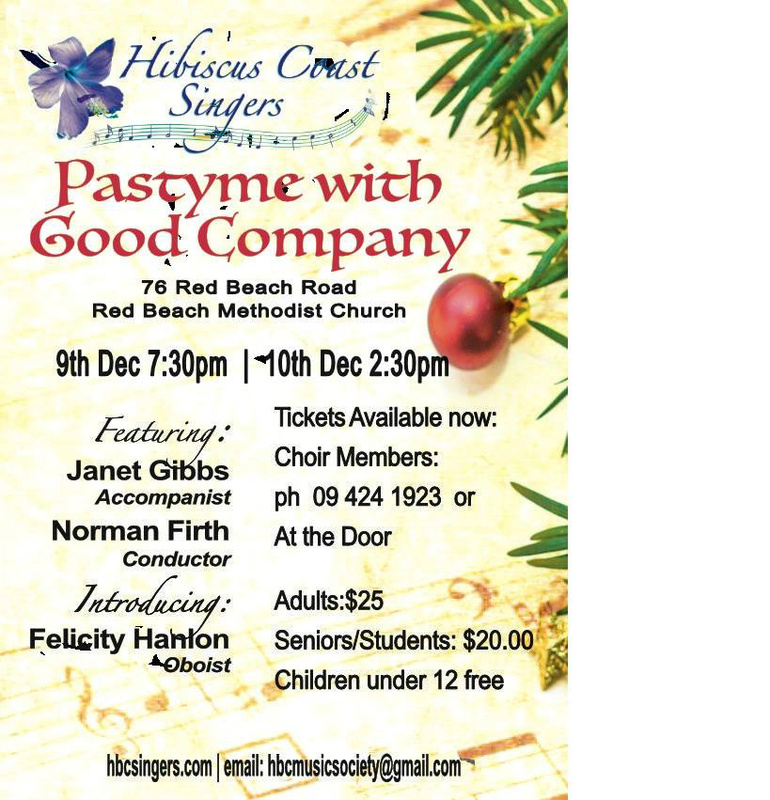 The concerts were held Friday, 4th December at 7:30pm and on Sunday, 6th December at 2:00pm at: St Stephen's Anglican Church, Stanmore Bay. 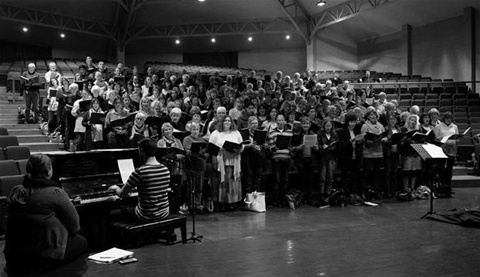 The HBC Singers have been privileged to be part of the Silo Theatre production of The Events on 3rd of September 2015. 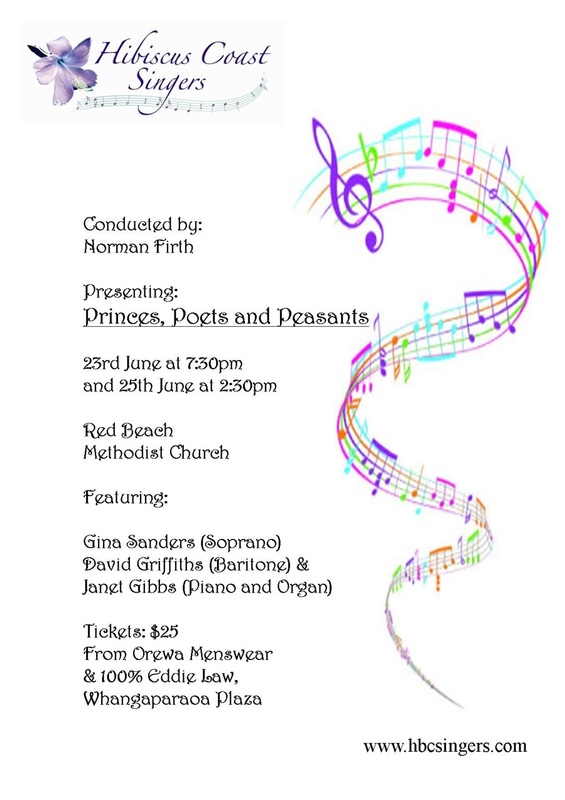 As this year is our 25th anniversary (with + 15 years of Norman as our musical director) the programme included a selection from the choral works we have performed during that time. Performances were well attended on Friday, 5th June 2015 at 7:30pm and Sunday 7th June at 2:00pm in the afternoon at St Stephen's Anglican Church, Stanmore Bay. 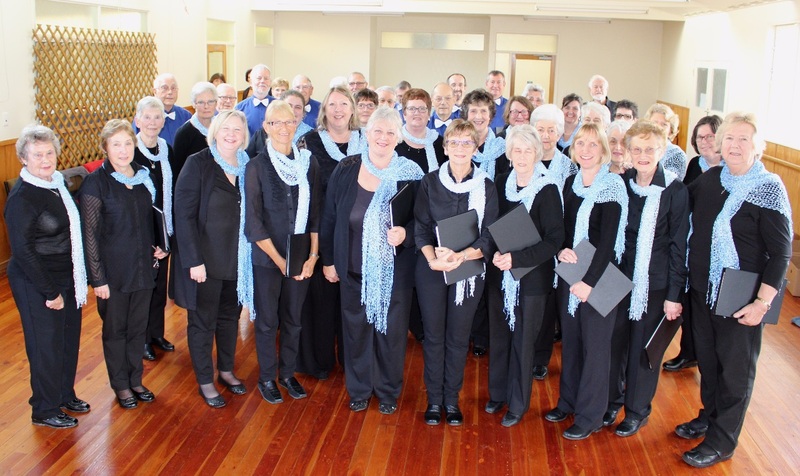 "Christmas in Song and Story"
Our last concert for 2014 was held at St Stephen's Anglican Church, Stanmore Bay Road, Whangaparaoa, Auckland, on Sat 6th Dec at 7.30 pm and Sun 7th Dec at 2.30 pm. 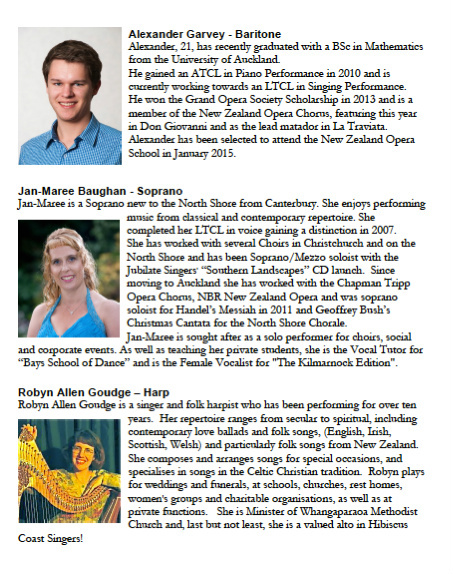 The organist / accompanist, Barry Golding with soloists Alexander Garvey (baritone), Jan-Maree Baughan (soprano) and Robyn Allen Goudge accompanied us in one piece on her Welsh harp. 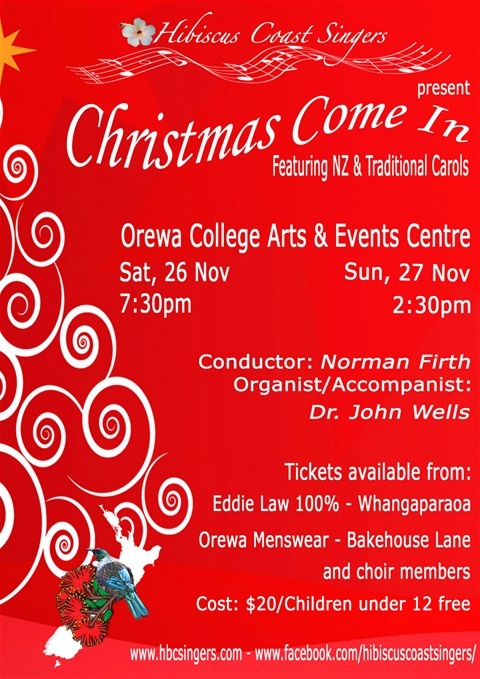 Our Musical Director selected the programme: Carols old & new, with selected readings of poetry or prose related to each group of music including a suite of 6 carols by David Hamilton, "Angels, Shepherds & Wise Men All" (composed for South Auckland Choral Soc.). 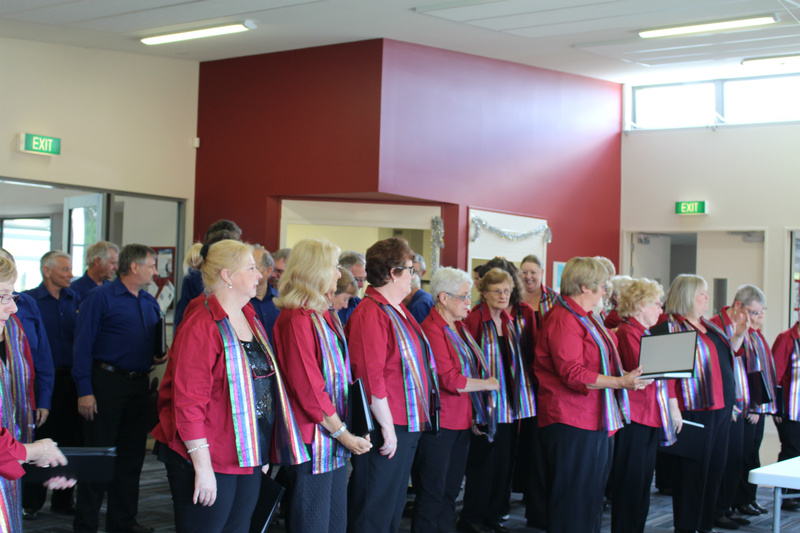 There were some carols for audience participation.